Natural health and wellness are about promoting personal health and fitness through the natural therapies of a healthy diet, nutritional supplements, the benefits of exercise, and having a healthy attitude and resilience in your life. Natural health and wellness is available to everyone, thanks to the natural therapy of healthy living. Healthy living and patience promote personal health and fitness. The Natural Health Perspective is all about wellness and healthy living. The fundamental principle of natural health and fitness is moderation and balance in all things. Every person is born with a natural ability to overcome disease. 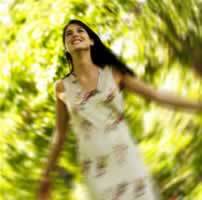 Optimum Health = Healing Power of Nature + Healthy Living + Time. 1. Good personal health information does NOT go on forever; Nor, does it change with each health news story. Carrying out the correct natural health fundamentals automatically takes care of all the details. 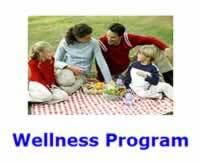 The Natural Health Perspective wellness program specifies the correct natural health fundamentals. General concepts are key to good natural health information. Wellness programs that try to overwhelm you with endless details are unorganized, poorly thought out, will change with each health news story, and in the end will only make you neurotic. 2. The fundamental principle of natural health and fitness is moderation and balance in all things. Both the extremes of excess and deficiency are always wrong (with no exceptions). The optimum amount is always found between too little and too much of anything (with no exceptions). Optimums can be viewed as points of perfect balance. Good natural health and fitness is about achieving a proper balance with five key natural therapies: Diet, Nutritional Supplements, Exercise, Attitude, and Resilience. Give each its due weight, force and importance. Holism: Healing is a concerted effort of many different natural therapies and cannot be achieved by any single therapy in isolation from the others. Keeping your life in balance, results in good natural health. Homeostasis is the scientific word for how your body maintains its health by keeping itself in balance. Moderation and Balance is the key to Good Health. 3. Every person is born with a natural ability to overcome disease. Mother Nature cures ills rather than allopathic medicine. The human body comes with marvelous regenerative systems, that have great powers to heal, recover, and revitalize itself -- without any outside help. Vitalism: Self-healing is a basic property of all living beings. The primary cause of ill health is living contrary to the requirements of Mother Nature. Therefore, healthy living and patience (i.e., the passage of time) will correct, all nutritional deficiencies and most health conditions. This simple method works (i.e., primary prevention), but requires time to work. Your natural health and fitness are under your own control. See our tutorial on: When does Natural Health NOT Work? "That practically all human ailments are directly traceable to wrong habits which can only be corrected through the immediate adoption of right habits." "Avoid nostrums and patent medicines. The habitual use of any drug is harmful. The most eminent physicians are now agreed that very few drugs have any real curative value. The essential thing is right habits of life." Every one of us has cancer. A typical person might form an average of 30 cancer cells every day. We have in our body a natural ability to kill cancer cells and never be diagnosed with cancer. What we eat and our relationship to our environment can either help or hinder our natural ability to fight illnesses, like cancer. "It matters not what your present age is or what your physical condition is. If you obey nature's laws, you can be [physically] born again." 4. The key to success is making changes in small steps. Humans require time to adjust to change. You improve your natural health and fitness by making small improvements in it. Over time, these changes will add up to a significant impact. Health is a journey rather than a destination! In other words, the objective is to end up with, rather than start out with, optimum natural health and fitness. Trying to start out perfect will only guarantee failure. As humans, we tend to overdo it when we decide to make healthy lifestyle changes. We all try to do too much, too soon. Slow and steady wins the race to good natural health. 5. Success is having patience enough to let time take its course. Your body will grow its way into a state of health provided you have consistently followed healthy living over a long enough period of time. "Remember, too, that 'Rome was not built in a day,' and that patience and persistence are vital qualities in the ultimate successful accomplishment of any worthwhile endeavor." "Nature, time, and patience are the three great physicians." "Health-getting is a process of development, like the growth of a tree, or the raising of a crop of grain. We must sow the seeds today, in right habits of life and a correct regimen, and weeks, months, or years hence we shall reap the harvest." We are all looking for a quick fix. Nevertheless, the truth is that there are no quick fixes to improving natural health. 6. It is up to you to take action! Knowledge without action will not help. Blaming away your problems will not help. Complaining every step of the way will not help. Explaining away your problems will not help. Getting mad will not help. Only taking the correct action will help. Taking action will even reprogram the family history of your DNA, according to the science of epigenetics. The Natural Health Perspective health program specifies the correct action. Find out what improves your health. Then act on that knowledge. Action is the hardest principle to do, but it is by far the most important one for good natural health. 7. Optimum Health = Healing Power of Nature + Healthy Living + Time. Principle 3: Every person is born with a natural ability to overcome disease. Principle 2: The fundamental principle of optimum natural health and fitness is moderation and balance in all things. Principle 4: The key to success is making changes in small steps. Principle 5: Success is having patience enough to let time take its course. These six natural health principles work together synergistically to produce optimum natural health and fitness. "Everything you do in life, I don't care, good or bad--don't blame God, don't blame the Devil, don't blame me, blame you. You control everything! The thoughts you think, the words you utter, the foods you eat, the exercise you do. Everything is controlled by you." Good natural health is as simple as this summation says that it is. There is no simpler, more effective treatment, to restore health and enjoyment of life, than the cure that Mother Nature provides through natural living. This article was originally published during July 2005. Diseases of Civilization, n.(Western Diseases, Diseases of Lifestyle, Chronic Diseases, Degenerative Diseases) 1. Diseases that appear to become ever more widespread as countries become more industrialized. 2. The top ten causes of death past the age of 45. 3. Diseases which are potentially preventable. "CONCLUSIONS: One may have greater personal control over one's biopsychosocial health after retirement than previously recognized." "As a consequence, patients may experience undue hope or anxiety or may seek unproved, useless, or even dangerous tests and treatments." "Institutional review boards and journals could reduce the number of redundant trials by requiring investigators to conduct adequate searches for prior evidence and conducting systematic reviews." Fergusson, D; Glass, KC; Hutton, B; Shapiro, S. Randomized controlled trials of aprotinin in cardiac surgery: could clinical equipoise have stopped the bleeding? Clinical Trials 2005; 2: 218-232.